I read an article in a The Nation a few weeks ago (yes, I read The Nation as well as a variety of other publications on the left and the right) that discussed the great works Hugo Chavez was conducting for the Latin immigrants (legal and illegal) in the five boroughs of New York City–subsidizing gas and heating oil for those who were too poor to afford prices offered by the capitalist American establishment. 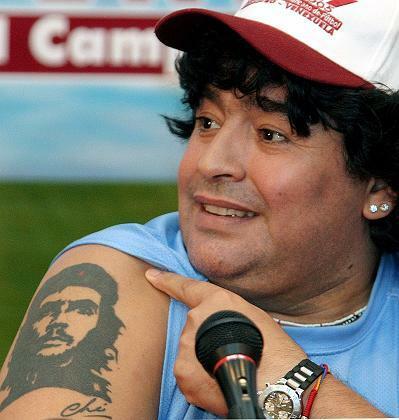 The program which is a few years old at this point, has tagged Chavez with the title “The Oil Pimp” by many. The author of The Nation article was practically on his knees licking the bootstraps of the recently ordained all-powerful dictator for his altruistic endeavor, only offering a minute amount of trepidation near the end—cautiously hopeful that Chavez is doing the same for the poor in Venezuela. Does anyone really believe he’ll relinquish his dictatorial power when the agreed upon 18 month period is up? Doubtful. I have a feeling we’ll be looking at a new ‘dictator for life’ in the vein of Idi Amin, the once brutal dictator of Uganda during the early 1970’s. He’s closing in on that title and has even made comments to that end. But father knows best, especially when it’s in your his best interest. 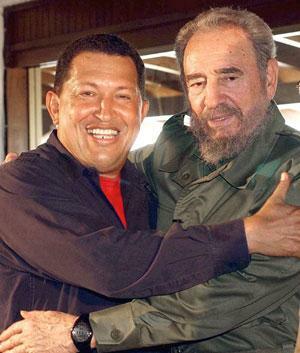 But Chavez is a hero to the generally uniformed masses of the left who advocate and sympathize with Hugo’s democratic socialism as a blueprint for the way the United States should conduct itself socially and politically, nationally and internationally. Many Americans (generally the Birkenstock-sporting crowd, not to generalize) who take the opportunity to visit Venezuela come back to the U.S. with a new vim and vigor ardor for the work Chavez is doing in his country, and something worthy of emulation here. Chavez sounds like a leader who is actually advancing positive reforms and programs that are helping many people in his country who are in significant need of assistance. It appears that he is winning many hearts and minds to his causes and politics, not only in Venezuela but here in the United States as well. While there’s obviously nothing wrong with gratifying those who are your political base, or those who one is urging to nudge to their worldview—all politicians kiss babies after all—it is also apparent that Chavez is promoting and instituting policies that bring into question his current and future motives as dictator. Still, when one demonstrates little ability for independent and original thought, it’s a gentle slope to traverse to become enamored of a charismatic leader and the promises they make and the conviction with which the leader makes them. Adolf Hitler, a staunch social leftist, managed a similar maneuver to Chavez’s educational reforms. In 1933, Hitler instituted a sweeping and universally popular labor reform by granting annual paid vacations to the working class of Germany, a new concept at that time and one that lured many German citizens over to his manner of thinking. Hitler did it under the guise of liberal socialist reforms for the common man, creating a stronger bond of brotherhood to the peoples of the Deutschland—he did it for the common good and the betterment of society. The below piece from Dr. Pat Santy (also known as Dr. Sanity from her blog) presents and excellent argument concerning social leftism and the failed (and sometimes disastrous) promises often made in the name of social reform. While Hugo Chavez may not be as infamous as was Hitler, there was a point in time when Der Fuhrer was nothing more than a struggling college student. Socialism as a social or moral philosophy was based on the ideal of human brotherhood, which can never be implemented by institutional means. There has never been, and ther will never be, an institutional means of making people brothers. Fraternity under compulsion is the most malignant idea devised in modern times; it is the perfect path to totaltarian tyranny. The social engineers of the left, motivated as they are by their creative utopian aspirations–expressed by the desire to impose (forcibly, if necessary) universal peace, social justice and brotherhood upon humanity–are completely oblivious to the malignant side of their own natures. Both they and the capitalist entrepreneurs of the right who they despise so vehemently are both driven by the darker human emotions: envy, greed and a need to dominate others. However, there remains an extremely crucial difference between them. The do-gooder leftist in all the various ideological incarnations–the antiwar crowd, the environmental crowd, the communists, socialists, and assorted collectivists–offers the rationale that he does what he does for the “common good” and for “social justice”, “peace” and “brotherhood”. His high-minded, self-righteous rhetoric justifies (to him anyway) imposing his will and beliefs on others for their own good; and he will not hesitate to use whatever coercive capablity he has at hand to get others to do what he wants and what he says. The capitalist, on the other hand, is overtly out to pursue his own selfish profit, and understands he must use persuasion. That is, he must convince people that his ideas and the products of his mind are better than all the rest so that they will be willing to part with their hard-earned money to possess them. His desire for power over others is manifested in an indirect manner because people must wnat what he has to offer and believe that they will benefit from an interaction with him. There is no parallel social limitations on the behavior of the leftist. This tyrant wannabe does not feel the need to convince others of the veracity or even the effectiveness of his ideas; nor does he accept defeat when others are not interested or resist their implementation. He knows in his heart what is best for everyone, and he will use coercion if necessary. He will not allow options; nor will he permit others do do what they think is right for themselves. Their feelings or concerns are a matter of complete indifference to him. Only his own matter. The leftist’s desire for power is direct and absolute; and this is a direct consequence of his utopian ideology. And there is no area of your life which will escape his intrusive psychopathology, because he justifies it by saying he is really doing it for your sake. The clever leftist always manages to hide these darker motivations–the envy, greed, and desire for power–and pretend they don’t even exist–even to himself. He tells himself he does not possess such dark motives; that his motives are pure and uncontaminated by the kind of self-serving goals the selfish capitalists pursue. The banal platitudes and silly slogans he chants during his protest marches make him feel oh so good about himself; and experiencing too much knowledge and insight about his inner state would make him extremely uncomfortable; perhaps even causing him to question some of his basic assumptions about himself or his beliefs. This is the essence of the “dilemma of the utopians”. They see themselves as so pure and righteous; so correct and virtuous; how is it possible that their beautiful utopian dreams always turn into such horrible human nightmares? 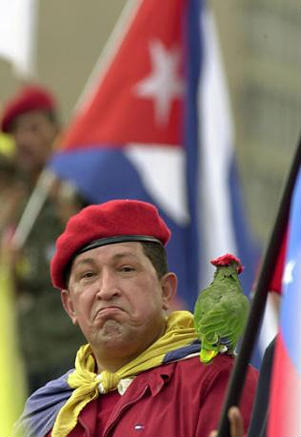 The mindless minions of the left jubilantly celebrate Chavez’ “courage” in taking power to do what they believe is “just “and “helps the poor”. They cheer on his thuggish oppression because they believe their ends justify any means. Every obscenity is tolerable– as long as you rant about the evil capitalists and their “exploitation” and “oppression”; or say you are only taking control of everyone’s lives for the sake of “social justice“. When you consider the historical –and catastrophic — human consequences that have ensued whenever their perfect utopias are implemented, it is little wonder that they will ignore, deny and distort any information that exposes the underlying envy and rage that drive their sociopathic selflessness. Their precious self-esteem would surely plummet, and their self-esteem must be preserved at all costs. While societies that operate under the rule of law have all the necessary checks and balances that prevent the capitalist from cheating or robbing his clients and hold him to account if he does; civilization has been fooled repeatedly throughout history by the virtuous, self-righteous, anti-capitalist robbers and cheaters of the left who simply disguise their robbery and fraud behind the stated purity of their motives (see here, for the most recent example). Many on the left believe their agenda is driven by a piety that only they, in their heightened awareness, are capable of. Their motives are pure, they say. Disagree with them and you are evil. They are true believers, and as such, they are entitled to make decisions for others, on behalf of others and despite others. They love their fellow man, they say. They hate injustice, they say. They are true believers in the highest calling of mankind. Well, the Nazis were true believers, too. There were communists that were true believers and they have the blood of 50 million people on their hands. The North Vietnamese killed 2-3 million after we left Vietnam. Castro and Che slaughtered hundreds of thousands between them. African communists have shed the blood of millions. All of the aforementioned were true believers. All of them believed they were serving the best interests of mankind. Being a ‘true believer’ is no mark or guarantee of moral or ethical superiority. That applies to all ‘true believers’ of every political, religious or ethical stripe. When you are not open to new ideas, thoughts or challenges, you are no better than ther legions of evil ‘true believers’ that preceded you. This latest crop of ‘true believers’ are intellectual pygmies, the ‘useful idiots’ and apparatchiks of our time, afraid of debate and most of all, afraid of accountability. They are the true enablers of evil. They deliberately choose blindness and deafness, so as to affirm their ‘righteousness.’ They see themselves as charged with a mission- to blind and render deaf others, so that their status might be validated. Without their distortions,evil would be held to account. Instead, evil is allowed to flourish. They are no more than the fertilizer for evil, violence and death. Today’s left promises wealth and happiness and justice and brotherhood. What they have always delivered is poverty and misery; injustice and death. It will be no different this time around. “Somebody has to speak for these people….Sure as I know anything, I know this, they will try again. Maybe on another world, maybe on this very ground swept clean. A year from now, they’ll swing back to the belief…that they can make people…better.